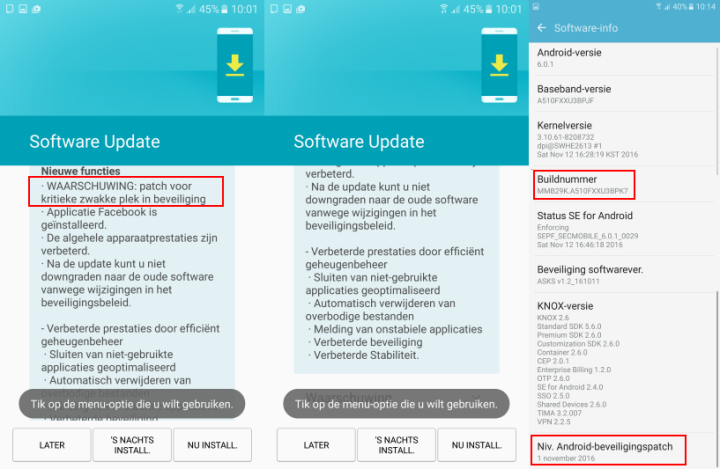 Last month, Samsung pushed out an update to its Galaxy A5 (2016) smartphone that brought a fix for a critical security flaw (details weren't mentioned though). Well, another security update has started hitting the device now. While the previous update also included the monthly Android security patch, this new update doesn't feature security fixes for the month of December (the Android security level remains at November 1). Also, as was the case previously, details on the critical security flaw it fixes aren't revealed. Weighing in at over 128MB and carrying a firmware version of XXU3BPK7, the update has already been rolled out to units in Europe and Africa, and other regions are expected to get it soon.